So you have put on a few good pounds in places that are usually termed ‘difficult’ by the fitness experts… A slight jiggle in the midsection, pants fitting tightly around the thighs and a little muffin top bulging over the grip of your bottom wear is what you see after a period when you were not too careful. Unfair as this may seem, it is not reason to lose your feathers like apocalypse is knocking at your door and you are the first to face its horrors. Don’t Panic – Firstly and most importantly, it is imperative that you maintain your calm. While it is true that discovery of weight gain can send a 440 jolt through your nerves, to hit the panic button would be just as good as bullying your brain to create illusions of how bad things have become. So, take a deep breath, sit down, drink a cup of herbal tea and consciously tell your brain that you are a human and humans evolve from time to time as a reaction to external environment. Gaining weight is normal and most importantly ‘REVERSIBLE’. Don’t kick start an anorexic diet – Never EVER start a diet that is the secret road to anorexia. At any time of the day, ensure maintaining your levels of proteins, carbohydrates, fats and vital nutrients so that your health is not compromised. If you have to bring the axe down to something, make it the sugary snacks, potato chips and all the fast food you may be feasting on. Never skip meals – Skipping meals is very common on weight gain. This is also the route to innumerable gastrointestinal disorders that you will repent even after becoming a bag of bones. Think! Even if you succeed in forcing yourself to size zero, you have to spend the rest of your life looking like a corpse, and be bed ridden for the chunk of your life, is the effort worth a dime? 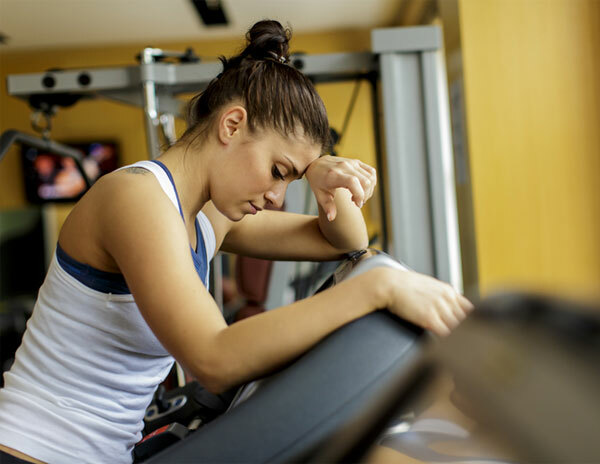 Don’t overdo with workout – Working out is a great way to get back to shape. But sudden weight gain often serves as an inspiration to overdo with the schedule. This is harmful because you may end up tearing a muscle, straining your joints or even damage your skeletal system in various parts. Stay clear of stress and depression – Stress causes more weight gain, as has been proven by infinite researches. Don’t over think and don’t allow your brain to convince you that everything has fallen apart because it has not. Try meditating and performing breathing exercises which are tried and tested to eliminate stress.